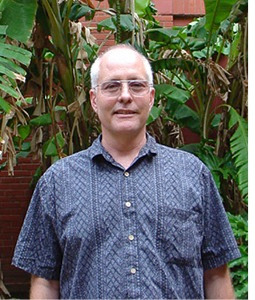 Dr. Ken Metz serves as assistant chair and teaches and supervises the music theory and keyboard skills courses. He received his MM in Music Theory and Composition from the University of Nevada, Las Vegas and a Ph.D. in Fine Arts with an emphasis in Composition from Texas Tech University. At Texas Tech he was a full-time instructor of music theory and jazz. His main research interest is in the relationship of number theory to music theory. He is active as a composer and his music has been performed across the country. He has published a textbook, Fundamentals for Aspiring Musicians (2010 Routledge), co-authored with Dr. Robert J. Frank of Southern Methodist University, which is available on Amazon. He is currently serving as president of the Composer's Alliance of San Antonio (CASA) and is a member of the College Music Society (CMS), The National Association of Composers USA (NACUSA), and the Society of Composers Inc. (SCI).